Can I Get Social Security Disability For Ehlers-Danlos Syndrome? Question: Can I get Social Security disability for Ehlers-Danlos syndrome? Answer: Quite possibly. It all depends upon how badly you are affected by Ehlers-Danlos syndrome. 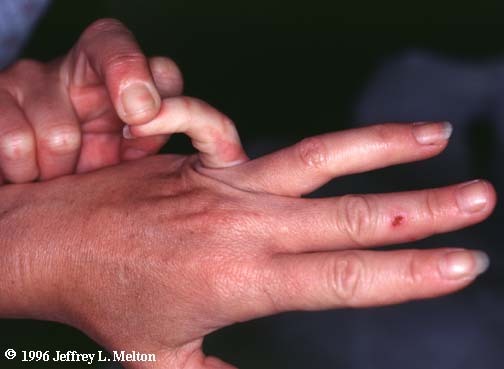 Ehlers-Danlos syndrome is a genetic disorder that, among other things, can cause unusual elasticity of the skin, muscles, ligaments, blood vessels and internal organs. The most common variety of Ehlers-Danlos syndrome (which actually comes in several different types) causes problems with the joints. The ligaments are so elastic that the person with Ehlers-Danlos has repeated dislocations of the shoulders, hips, knees, etc. In addition to being painful, this causes permanent damage to these joints. The patient has to have repeated surgeries to tighten up the ligaments. The chances of a disability claim filed by a person with Ehlers-Danlos depends upon how badly their joints have been damaged, how much pain the person suffers, how frequently they have surgery and whether there is vascular and internal organ damage. I have helped a number of clients over the years who had Ehlers-Danlos syndrome. It may seem like a rare disease to the patient but it’s not all that rare in my practice.